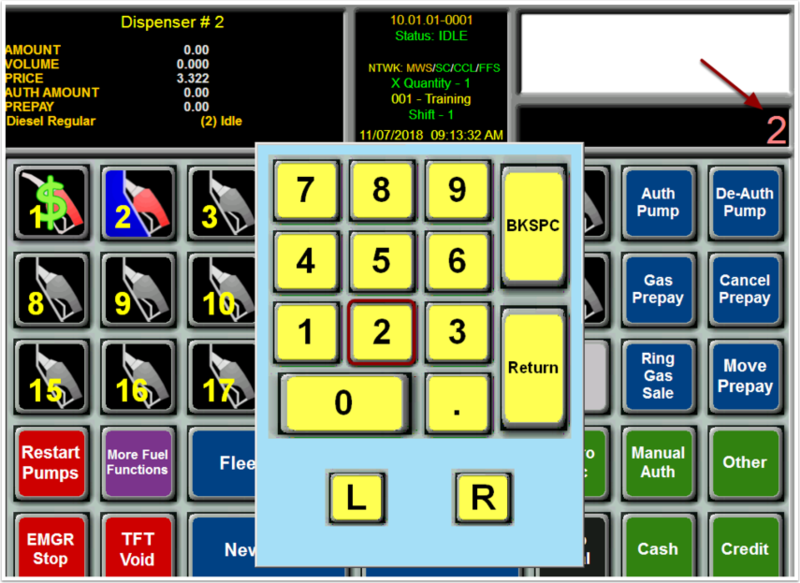 TravStar1 Point Of Sale SystemCashier Training Fuel FunctionsHow Do I Reprint an Outside Credit Card Transaction? How Do I Reprint an Outside Credit Card Transaction? Depending on the type of dispenser and card reader your site has you will have the ability to go back as far as ten receipts. Please Note, the receipt history will be cleared out if a reset is performed. Prev: How Do I Cancel a Prepay from a Dispenser? Next: How do I Move a Prepay on a Dispenser that was Accidentally Prepaid to the Wrong Pump? 1.2 How Do I Login to the POS? 1.3 How Do I Restart the Manager's Work Station and When Should this be Done? 1.4 How Do I View Media Totals? 2.1 How Do I Sell an Item Using the Barcode Scanner? 2.2 How Do I Sell an Item that Is Assigned to a Button on the Screen? 2.3 How Do I Reprint a Receipt for a Transaction that Was Done at the Register? 2.4 How Do I Check the Price of an Item? 2.5 How Do I Suspend and Resume a Transaction? 3.1 How Do I Process A Transaction If The Customer Is Paying With Cash? 3.2 How Do I See the Amount of Change Due to a Customer? 3.3 How Do I Process a Transaction if the Customer Is Paying with a Credit Card (EMV)? 3.4 How Do I Process a Transaction if the Customer Is Paying with a Debit Card? 4.1 How Do I Void the Last Item that Was Added to a Transaction? 4.2 How Do I Void the First Item that Was Added to a Transaction? 4.3 How Do I Return an Item? 5.1 How Do I Authorize a Dispenser? 5.2 How Do I De-Authorize a Dispenser? 5.3 How Do I Cancel a Prepay from a Dispenser? 5.4 How Do I Reprint an Outside Credit Card Transaction? 5.5 How do I Move a Prepay on a Dispenser that was Accidentally Prepaid to the Wrong Pump? 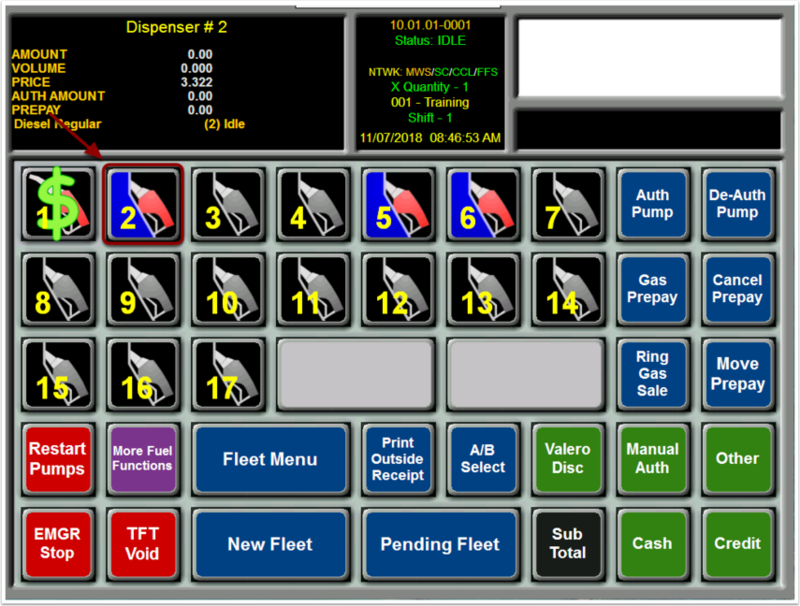 6.1 How Do I Setup and Process a TFT with Tractor Fuel Only? 6.2 How Do I Setup and Process a TFT with Reefer Fuel Only? 6.3 How Do I Setup and Process a TFT with Truck and Reefer Fuel? 6.4 How Do I Setup and Process a TFT with a Cash Payment? 6.5 How Do I Setup and Process a TFT with a Credit Card Payment? 6.6 How Do I Reprint a TFT Receipt? 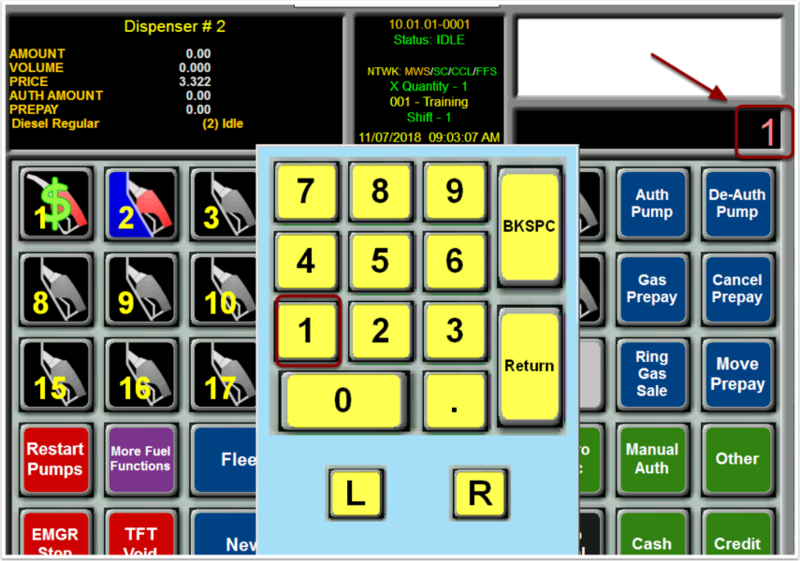 7.1 How Do I Close My Shift on the Register? 7.2 How Do I Print a Credit Card Batch? 7.3 How Do I Close My Day on the Register?